Is Levying a Uniform Stamp Duty On Financial Transactions a Sensible Idea? Home > Financial News. Simplified. > Is Levying a Uniform Stamp Duty On Financial Transactions a Sensible Idea? There was an interesting announcement in the Interim Budget 2019 in Paragraph 86; it was about the stamp duty on financial transactions. However, with the media's focus being entirely on the budget announcements for farmers and the middle class, the one on stamp duty may have not caught the attention of many. But those who are affected by it are reacting strongly. What was the announcement in the budget speech? In other words, the government wants to bring in uniformity in the levy of stamp duty on financial transactions. As you might know, the parliament can fix the stamp duty rates on various financial instruments such as insurance policies, transfer of shares, debentures, bills of exchange, promissory notes, etc. What will change for brokers and exchanges? Before the government made this announcement, stamp duty on financial transactions was a state subject. State governments used their discretion to decide the rate of stamp duty depending on whether they wanted to discourage or encourage financial market activity. 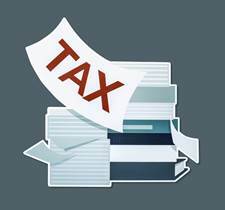 Now the government wants to bring in uniformity on the tax levied. The Association of National Exchanges Members of India (ANMI) had demanded the abolition of stamp duty since States have been getting their share in Securities Transaction Tax (STT). Mr Rajesh Baheti, the President of ANMI expressed displeasure about the decision while speaking to Moneycontrol. "Rather than abolish stamp duty as the STT is already levied on all transactions, the government has de facto imposed a state STT in the guise of stamp duty. ANMI wants the abolition of the stamp duty as states are already a recipient of their share from the STT pool, " he said. However, exchanges have a different take on the subject. Metropolitan Stock Exchange (a 'recognized stock exchange'), CFO, Mr Kunal Sanghavi sounded satisfied with the announcement of uniform stamp duty. "This brings in a lot of comfort, not only in terms of bringing down the cascading effect of the duty but also in terms of ease of compliance. This will end the ambiguity among the broking community where clarity was missing on the states in which stamp duty has to be deposited and which states rates to be applied. While we await details, it will also ease things operationally for member brokers and the process will become seamless, similar to STT, " he said. What will be the impact on issuers and corporates? Some experts believe the cost of issuing debentures would go up. This may also have a bearing on mergers and acquisitions. What is the impact on mutual fund investors? Unless the centre announces the rates, it would be difficult to gauge the specific impact-- whether the implicit cost of transacting would increase or reduce. But broadly, the cost of investing for those living in the states that currently charge very low stamp duties, stand to lose and vice-a-versa. Compared to investors, the incidence and impact of stamp duty will be higher for traders. In other words, if you invest in a mutual fund scheme that churns its portfolio often, you are likely to shell out more money by way of higher expense ratio if the mutual fund house is not ready to bear that cost. If you are a cost-cautious investor, you should invest in direct plans offered by mutual funds. As an investor, avoid frequently churning your investment portfolio. If you believe, not churning the portfolio will limit your gains, it is a fallacy. On the contrary, if you select the best mutual fund schemes that hold the potential to clock a luring rate of return, you need not worry. Evaluation of these factors will help you arrive at your personalised asset allocation. You should always follow your personalised asset allocation to take investment-related decisions. Investing in mutual funds and shares involves risk. Thus, you should have a time horizon of over five years if you are investing in them. Mutual fund investors shall be careful about the schemes they invest in. Avoid schemes with very high portfolio turnover ratios. One should consider various quantitative as well as qualitative factors before investing in mutual funds. Do note that as a result of a uniform stamp duty, there will be no change as far as operational procedures or compliances are concerned. 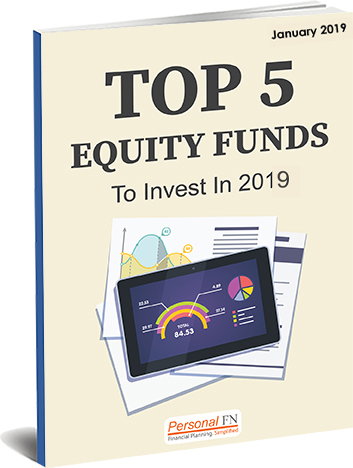 PS: If you're looking at the best equity mutual funds that you could invest in 2019 right away, here is PersonalFN's special premium report: Top 5 Equity Funds to Invest In 2019. This report tells you about five worthy, high growth potential equity schemes that can be instrumental in building significant wealth over the next 5-7 years. And only for a limited period you can get this report virtually free, click here to know how.